In a couple weeks I’ll be heading out to Seattle to attend the fourth annual GeekGirlCon. I’m a teensy bit excited. I’ll be going and covering the con extensively here on my blog and, barring any technical difficulties, I’ll be tweeting about the con a lot as well. Be sure you’re following me on Twitter as well as following the hashtags #GeekGirlCon and #KenAtGGC to be kept up-to-date on all of the con happenings! If you will recall when I attended Denver Comic Con, I had high aspirations to attend the con in cosplay. It didn’t work out, to say the least. I still have pretty, shiny dreams that one day I’ll be a marvelous cosplayer, but I certainly won’t hone any magical cosplay skills by October 10. Besides, I’m attending the con with the intention to see as much as I can and cover as much as I can on my blog, so cosplay could make my time at the con a bit too complicated. However, I still want to wear something special for the con, so I’ve decided I’m going to be attending the con in everyday cosplay, as inspired by The Nerdy Girlie blog–she’s kind of a master of everyday cosplay. I’ve not decided on my final outfit for the two days of the con, but I’ve narrowed it down to a few characters. The moment I decided I was attending GGC in everyday cosplay, I decided I had to devote one day to the Winchesters. After some deliberation, I’ve found myself leaning more towards Sam everyday cosplay–especially since my hair is almost the same length as Jared Padalecki’s. 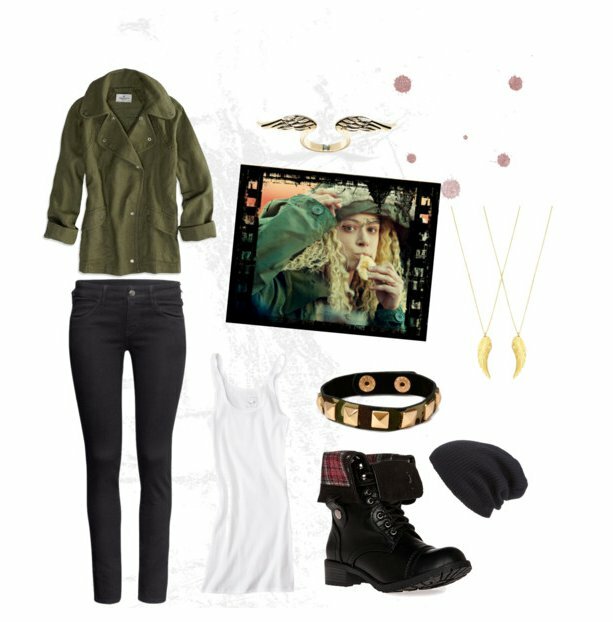 I mean, there will obviously be no knife or gun-toting at the con, and the necklace is Dean’s. HOWEVER, I really like the shirt and jacket combo–I especially like that anti-possession sigil patch. Besides, I’ll be in Seattle in October, so I think pants, jackets, and some cozy flannel will be just perfect to keep me warm. I love this, but I think if I was going to do Arrow casual cosplay, I’d probably incorporate a hood in some way. Honestly, that coat alone made me fall in love with this outfit. I haven’t made my final decision on what I’m going to wear just yet. I’ll probably go shopping for outfit pieces this weekend, and I’ll be continuing to pin ideas on my everyday cosplay pin board probably right up until the con, which you can follow here. Do you have any ideas of casual cosplay I should try for the con? Let me know in the comments! Oh my goodness Helena! She’s totally crazy! I’d go with her outfit as it will be chilly. 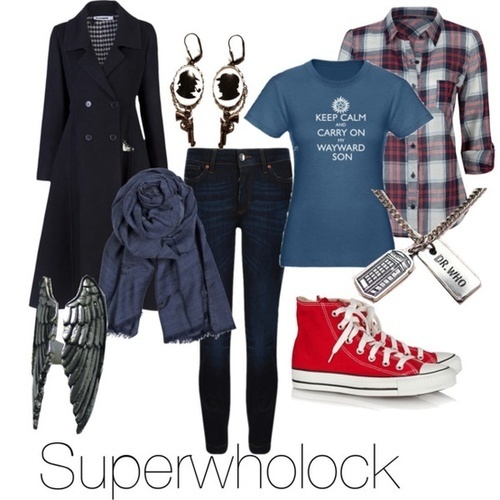 You can do a Rose Tyler winter outfit too! Kendall! I am so excited for you!!!! This will be so fun!!! I’ll be sure to follow you on twitter! That coat for the Jenny Flint is killer!! So many great choices here to choose from!! I know I love that coat!!! Super cute stuff! Jenny! And I love the Super-Who-Lock outfit. Why stick to just one fandom? Have the best time in Seattle! 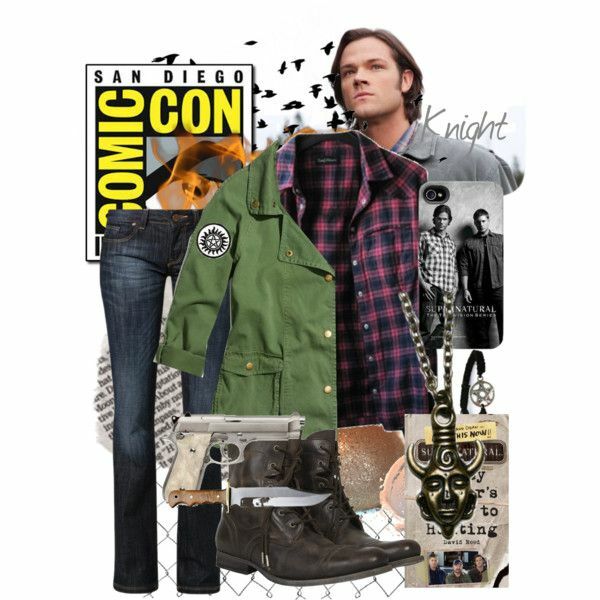 I like the casual Sam Winchester best for comfort’s sake. You could always do a Arsenal casual cosplay from Arrow, since he pretty much just rocks the red hoodie. 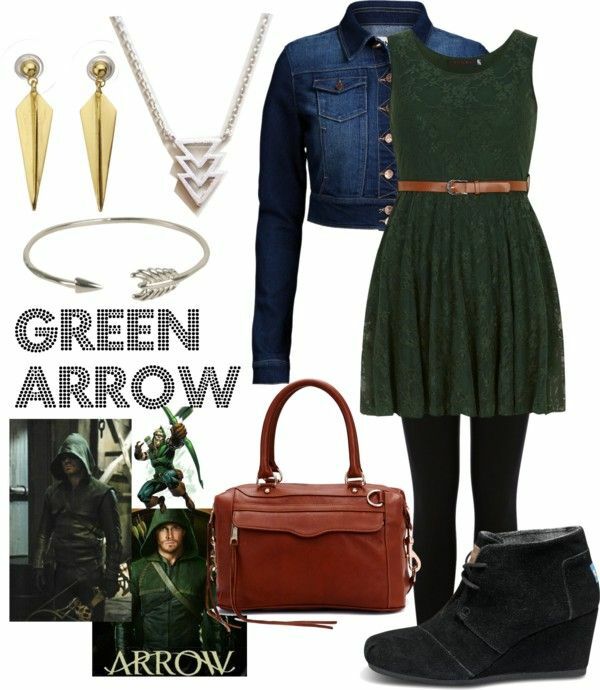 Or do a casual Ollie cosplay with a green hoodie & some arrow jewelry. Can’t wait to read your reports from the event! I think Sam is pretty much a done deal for me, and I’ve been wanting to do something Arrow-inspired for a while now. I just keep finding and thinking of so many other cool ideas. I just need to just pick a second outfit and stick with it! I agree! I’ve been kind of obsessed with that ever since I first found that picture! And thanks, I think it will be a blast! Hope you have the best time! Love all your everyday cosplay ideas. Can’t wait to read all about it.